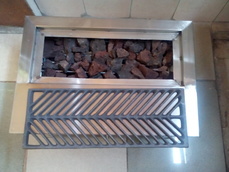 Good for flame grilled burgers , steaks, fish, meat , etc. Compact , and just the right size for easy transport in bazzars , schools, food show etc. Please call or tex 0935-430-0739 / 0998-328-33424 for faster response. Get the latest updates on your favorite Kapuso programs. View behind-the-scenes photos and videos. RETIRED General Carlos Holganza, a proponent and organizer of dragon boat competitions, said all is ready for the competition in Bogo, northern Cebu, this Saturday. All-Terrain Vehicle Rentals Ride one of our several off-road four-wheel all-terrain vehicles and explore the island with more adventure and fun! This classic Japanese-inspired soup uses beef sirloin, the cheapest among the premium steaks. DISCLAIMER: Sun.Star website welcomes friendly debate, but comments posted on this site do not necessary reflect the views of the Sun.Star management and its affiliates. Aktib is a place where you can find and register running and triathlon events from all over the Philippines and some parts of Asia.